Maestoso is the highest peak in the crescendo, that moment of realizing you are in the presence of majesty. 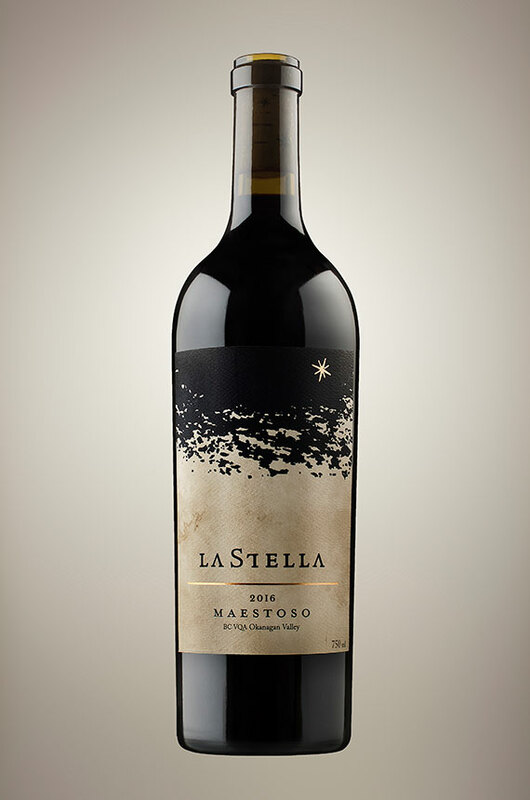 Maestoso is our flagship wine and the jewel in the crown of LaStella. Silk Gloves come on, no expense is spared, and we pulled no punches. Maestoso is the reason we get out bed at the crack of dawn and continue the back breaking work till late in the evening. Maestoso is always opaque in color and 2016 is no different. On the nose one finds pronounced notes of dark bramble fruit, coffee, black cherries, forest floor and vintage cigar box. Huge mouth coating velvety tannins leads through to an astonishing finish lasting well over a minute. The structure and acidity of the 2016 vintage means longer than normal aging requirement before the wine is settled down. A monumental wine indeed that restores wine lover’s faith in Merlot. Even the biggest nay sayers will be wowed. We have done our part, now is your turn. Pick up a bottle and get to know Merlot done Maestoso style. Maestoso demands the best cut of meat available: a dry aged, grass-fed rib eye would be ideal. A simple preparation will let the wine speak to you and show you all that it has to offer.